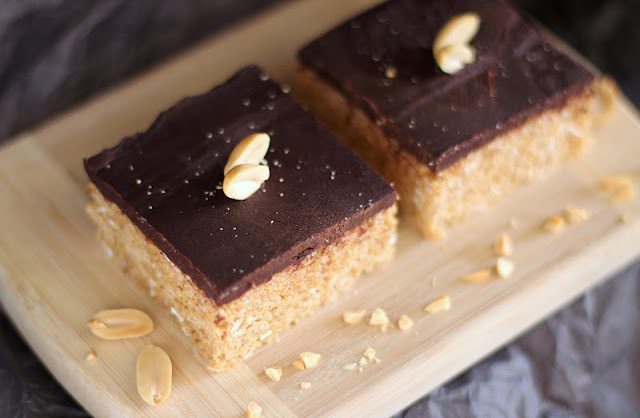 A perfect match for peanut butter and chocolate, yes? Yes. 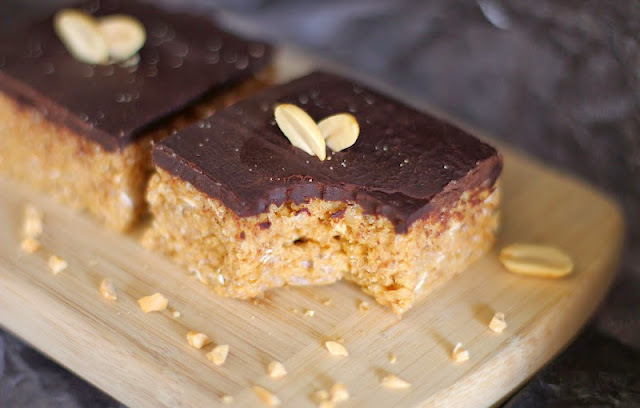 These Scotcheroos are unbelievably unique and sophisticated, nothing like what you see in those bright blue packages at the grocery store! Everyone was stunned when they saw these. First of all, they are just so fancy! No one believed these were homemade... in my dorm. And second, they are actually healthy! 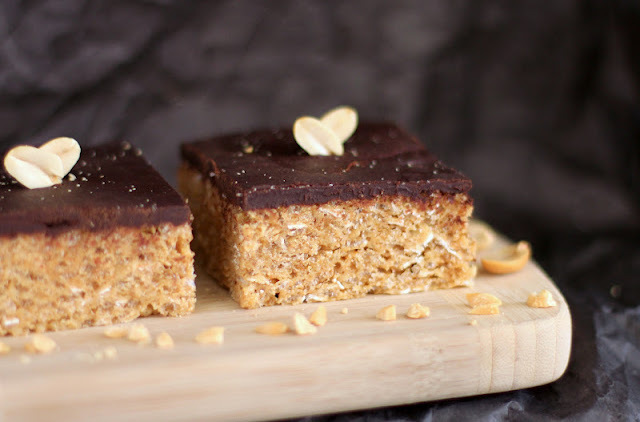 No one believed it, these are sweet from the butterscotch, rich from the peanut butter, and indulgent from the dark chocolate ganache. These treats are simply gratifying. Every bite feels like you're cheating on your diet, when really, you're not. 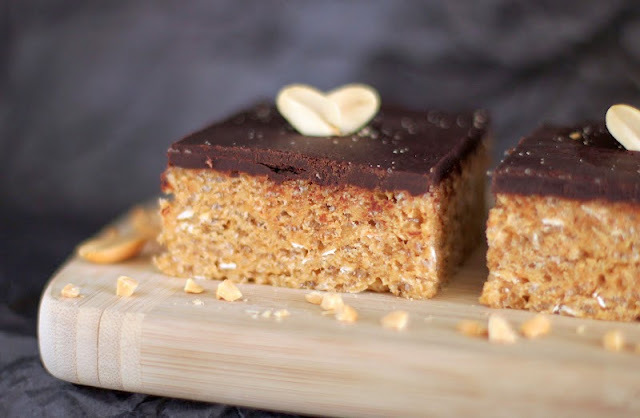 These are the decadent treats you can feel good about eating! Mmmm... the perfect bite: chewy, crunchy, sweet and rich. Hello,Jessica! I LOVE this. I am sooo addicted to sugar and yet I WANT to live a healthier lifestyle - WITHOUT giving up sweets. I just can't help it. 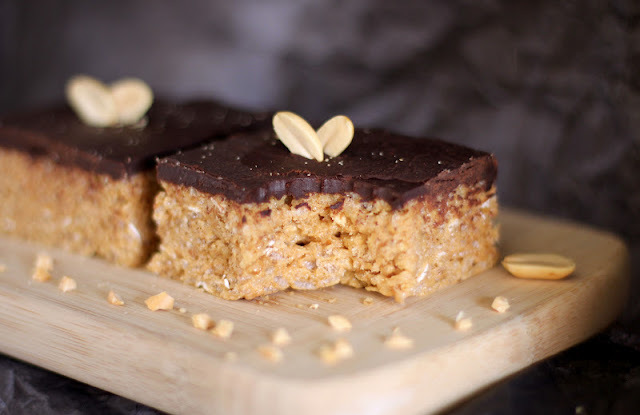 And these Scotcheroos sound healthy AND sweet - to me a PERFECT combination! By the way, I'n going to substitute agave syrup for the maple syrup. I'll let you know how it turns out. I'm sure the agave will work, hope you like it! Is it weird that I think that they look too pretty to eat? Because they do! But I'll still eat one hehe. tastes great buuuut...is the mixture supposed to be very crumbley before pressing it into the pan?